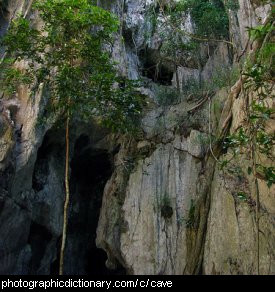 Large natural geographic formations and environments. 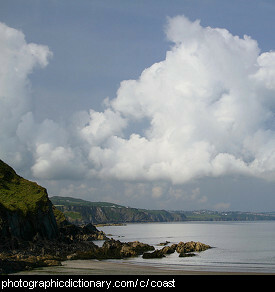 A beach is the sandy edge of the sea or a lake. A beach is sometimes called the shore. 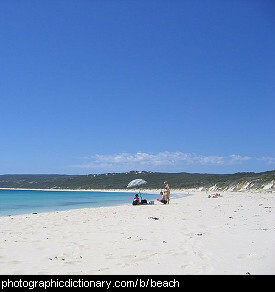 People like to go down to the beach and sit in the sun, make sandcastles or go swimming. 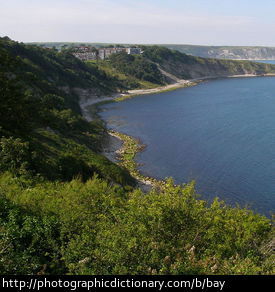 A bluff is a hill or coastline that has a wide, steep side. A bog is an area where the soil is very wet and is mostly made up of rotting plant matter. 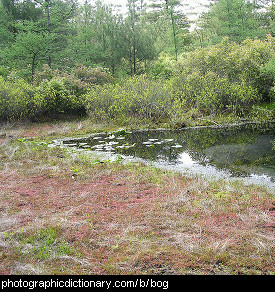 A bog is similar to a moor or swamp. 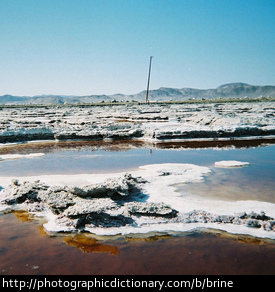 Brine is salty water. You can use brine to preserve things like olives. People describe the sea as brine. Salty water used for medical purposes is called saline. 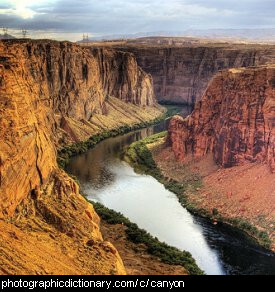 A canyon is a large, deep path that has been cut through the landscape by a watercourse like a river over many years. 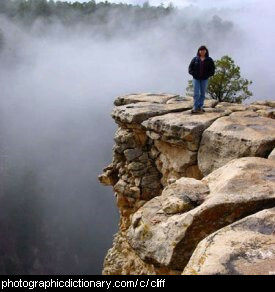 A cliff is a near-vertical expanse of rock, usually found next to the sea or by the side of a river. 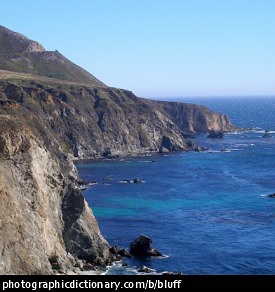 Cliffs are usually caused by erosion. A lot of people like to climb up cliffs, and many more people just like to look at them, or take photographs. The coast is where land meets the sea. 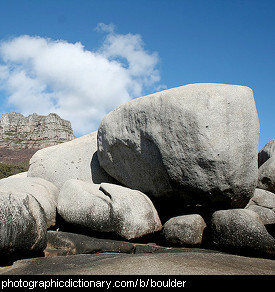 Some other words you can use instead of coast are shore and beach.